It is fair to say that Summer has arrived – but she has not traveled alone. Accompanying our rediscovered desire to frolic outdoors and be clad in flesh-revealing attire; which boastfully flaunts the much coveted ‘tan’; is a flurry of summer trends. Some people, like Yves Saint-Laurent, may argue that fashions fade. Thus we have compiled the ultimate list of this season’s must-have fashion items, carefully selected to (hopefully) stand the test of time – like that LBD or pair of jeans that was undoubtedly made for you and you alone. It will come as no surprise to most of you that neon is one of this summer’s trends, which will appropriately be featuring as our headliner in this post. 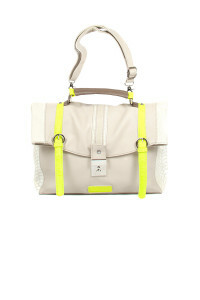 Summer season is synonym for party season, which means that a new bag for nights out on the town will go a long way. 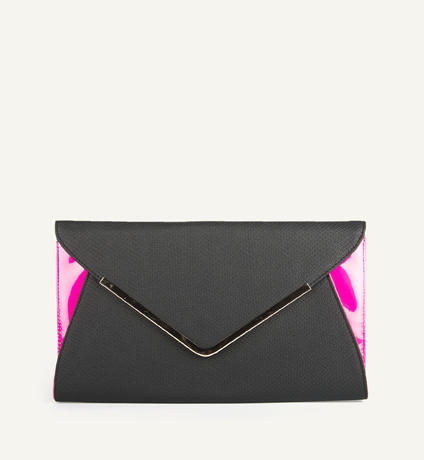 We found this neon clutch by Woolworths that has all the elements of the trends that you simply have to obey this season, but will also be able to take you into the seasons to come with the mostly black body and classic envelope shape. 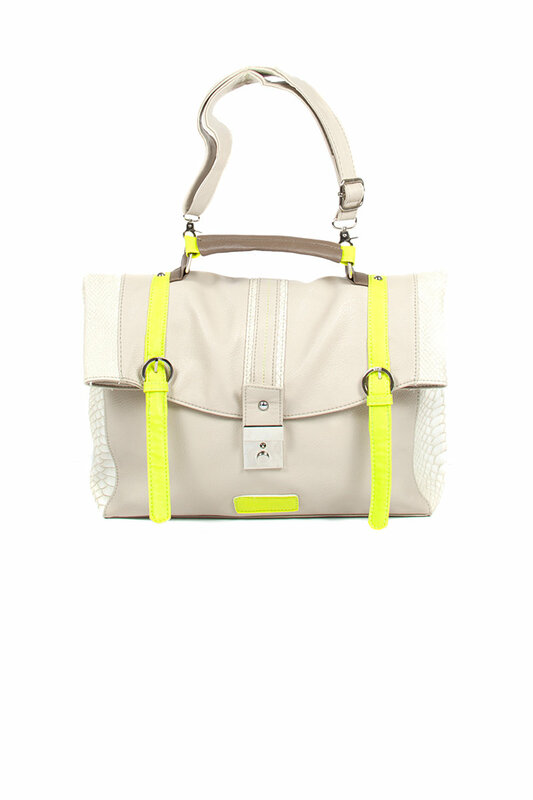 A bag that is more suited for day-time this season is the ever-trendy satchel. Make this purchase a double-whammy by buying it in neon and you’ll be all set. 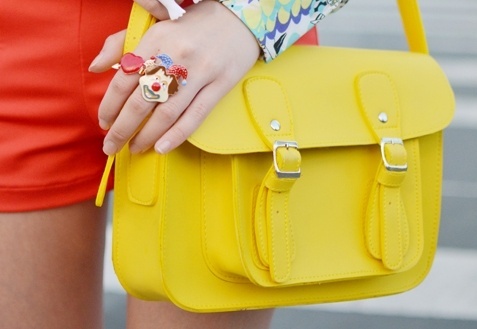 Your budget and closet alike will worship you for acquiring the satchel featured above by Monsieur. This one might be a little harder to find, but once you have, the versatility that the maxi skirt offers is endless. Chiffon is probably the most flattering material in this item for all shapes. Try stores like Truworths, Vertigo and Old Khaki. The tube skirt will undoubtedly be your best buy this season. You will get the most out of it during the unbearably hot summer months to come, and then again during winter with some stockings and boots or heels – depending on the occasion. The tube skirt is one of the items which is easiest to dress up with stilettos or down with flats. Look for one blinged-up with sequins or native inspired, covered with chevron stipes, Aztec or tribal prints. Another good buy that will flawlessly translate into the colder seasons. Because of the sudden popularity of the pastel pant, they are readily available in jeans or chinos in almost any run-of-the-mill retailer that comes to mind – so you have no reason not to own a pair! Among others the corset top, bralet and bandeau come in sequins, eyelet, lace and cotton – you just name it. The cropped top is probably the fashion item that is defining this season. They are available in a million forms and can be worn in a million ways. They aren’t too pricy, so purchase them in all their glory while they’re at their fashionable peak. In the seasons to come you’ll be able to layer and tuck them to adhere to entirely new trends – definitely a fashion investment of note. Fabulosity courtesy of Zara (you’re welcome). For those of you who missed the newsflash, Zara has opened their second store in South Africa at the V&A Waterfront. Naturally they’re a bit pricy to accommodate the average student’s budget, but if your aim is to buy one or two expensive pieces every season and compromise on the rest, allow a pair of Zara heels to be one of those expensive pieces. Statement heels in neon is just what doctor ordered for Spring/Summer 2012/2013. If stilettos is your weakness, allow flats to be the compromise if you’re constrained by a budget. Mr Price have stocked-up on many a pointy-toed neon pumps, so make a turn at your nearest branch if you simply have to have this item. Pointed flats is a trend that is sure to stick around next season, so why not buy more than one pair while you’re at it? From clothing to a lack thereof – it would be a fashion faux pas worthy of mention by the Fashion Police for us to neglect this season’s trends in swimwear. The 50’s style bathing suit has made a comeback in a big way, as is evident by the availability of this item at popular retailers. However, if this is not your style, opt for something more modern, like the one Candice Swanepoel flaunts for Victoria’s Secret. Alternatively a tribal inspired swimsuit is also bang-on trend.